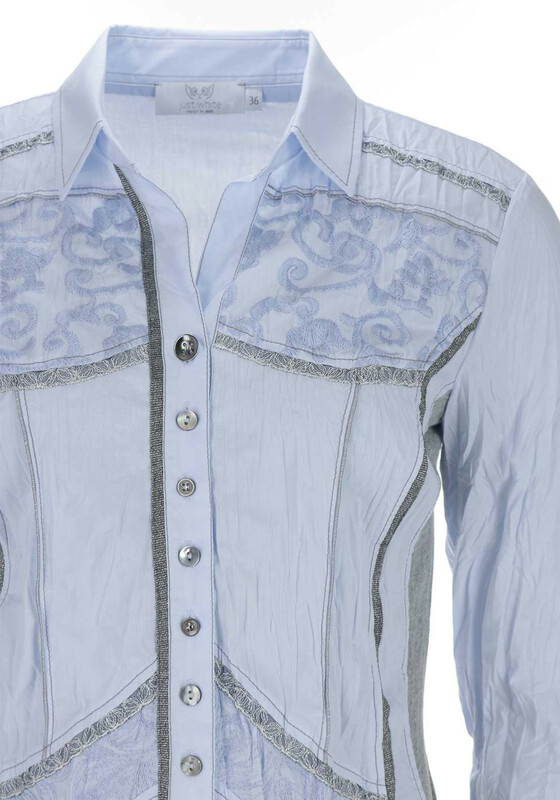 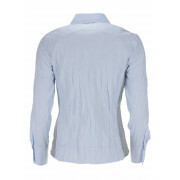 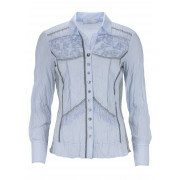 Presented in a soft pale blue shade, this blouse from Just White would look great worn with classic jeans or beige chinos. 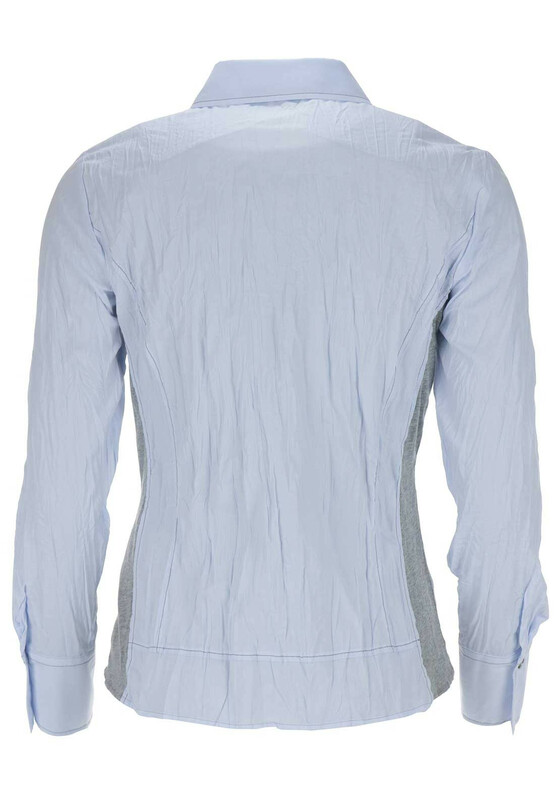 Styled with a fitted shape and made from soft crushed cotton blend material with comfortable grey jersey panels at the sides. 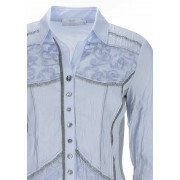 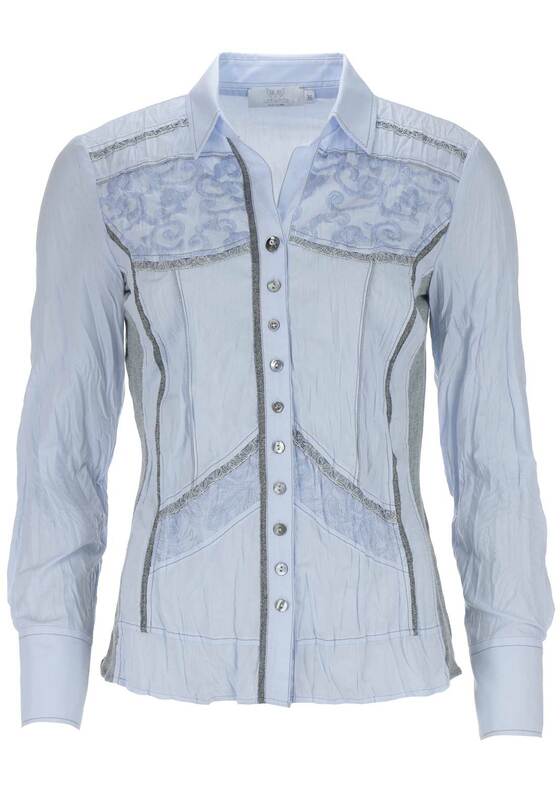 Featuring embroidered trim at the shoulders and an open neckline with full button placket.